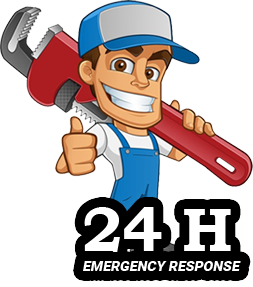 When hiring a handyman, you want someone who is experienced and arrives at your home with the right tools for the job and a solution to your problem. At Skill Pro Handyman, you will be impressed by our professional conduct and problem-solving capabilities. When problems occur within your household, it can be time-consuming to deal with and disruptive to your daily routine. That is where we come in, offering our extensive repair services for all residential and commercial properties. If you are in need of pergola repair in Sydney or at an office in the city and require assistance with patching and painting the new space, our qualified and experienced handymen are here whenever you need them. Having a pergola at home is like having an outdoor sanctuary where you can walk amongst lush plants in a shaded walkway. Some properties make use of a pergola to create a peaceful and shady rest area, but many homes do not yet have this beneficial and attractive garden feature. You can buy a pergola in some garden and home stores, but most are small and do not offer much in the way of customisation. When investing in one of these backyard beauties, it is essential to know the quality of the material and where the structure can safely be placed. We offer our services in pergola building to assess the area and advise you how a pergola can match the space you have, and that is just the beginning of our pergola support options. Adding a pergola can be challenging for new or even seasoned homeowners. What happens when no pergola matches your standards? We will be there to offer our assistance. From pergola builders in the Parramatta area to skilled repairs, we can help you craft and maintain the most suitable pergola for your garden. With pergola repair for any Sydney home, our service will ensure your shady garden area remains up and continues to provide relief from a hot day for many seasons to come. At Skill Pro Handyman, we know renovating or maintaining a home on your own can be difficult. No home or commercial feature is entirely free of potential problems or a need for maintenance and repairs—but there are often safety protocols and other requirements involved to keep your household and shape that are far beyond the average property owner’s capabilities. Skill Pro Handyman is here to help. We always aim to ensure complete customer satisfaction with our services, no matter the job size. In addition to offering a wide selection of services, our professionals are licensed and arrive on time and in uniform. With no travel charges and a free estimate, you have nothing to lose from a visit from our team. Worried we won’t be available when you or your business needs us the most? We offer a 24/7 emergency service response–when you need help, we will be there. If you need pergola builders for your Parramatta garden area or general repairs of any kind, we will be more than happy to help you. Contact us when you’re ready to get started.